National Electrical Safety Month . . . Knowledge is Power! Electrical power is not only convenient but a necessity of modern life. Used safely, it improves the quality of life for all of us. If used carelessly, however, it can be dangerous, even deadly. That’s why it is so important that we are aware of and observe electrical safety issues since Knowledge is Power! The Electrical Safety Foundation International (ESFI) has designated May as National Electrical Safety Month to raise awareness about electrical safety issues and to educate key audiences about the steps that can be taken to reduce the number of electrically-related fires, fatalities, injuries and property loss. An average of 51,000 electrical home structure fires occurs each claiming almost 500 lives, injuring more than 1400 people and causing more than $1.3 billion in property damage. In addition, the U.S. Consumer Product Safety Commission reports that nearly 400 people are electrocuted in the U.S. each year. Many such tragedies can be prevented simply by understanding basic electrical safety principles and adhering to safe practices. My tight-fisted neighbor doesn’t want to pay for an electrician to re-wire his house, so he’s going to try and do it himself. “How hard can it be?” he said. I think he’s in for a shock. ESFI reminds us that the best way to protect our family and our home against the risk of electrical fires or electrocution is to hire a qualified, licensed electrician to perform any major electrical work in your home. A Shocking Fact: The word “electrocute” is a combination of the words electro and execute, meaning killed by electricity, so if you don’t die, you were not electrocuted, you were shocked. Time to Take Charge of Electrical Safety. Tips Inside the House. The trouble began when Barbara had a circuit breaker trip. She reset it, but it tripped again. Barbara observed which appliances were served by the breaker and unplugged a few of them. Then she tried the breaker again. In fact, several more times. Finally, it reset. And it held long enough for Barbara to return to the living room to find sparks flying from behind a burning sofa. She rushed back to the circuit panel and threw the main breaker, cutting the power off entirely. Next, she grabbed the fire extinguisher and sprayed everything in sight, pausing only long enough to notify the fire department. A breaker that trips immediately after it is reset tells you there is a problem. Sure, the breaker itself might be the problem, and there might just be too large an electrical load on that circuit. But it’s more likely the breaker is tripping because there’s an electrical problem. Keep pressing the breaker, and you might start a fire. Speaking of circuit breakers, write the purpose of each circuit breaker (or fuse if you have an older home and not upgraded to a circuit panel) on the panel board. Also important, investigate wiring issues when lights begin to flicker. While flickering lights might seem a bit ominous, they should also alert family members to the possibility of electrical problems occurring in the home. Researching solutions to the flicker as soon as starts to happen will protect the household and family from combustible consequences of wiring failure in the future. With appliances being so standard, it’s easy to forget that there are genuine risks and hazards associated with their use. Take the time to brush up on the principles of safe operation – and make sure everyone in your home, especially the kids, is aware of them to prevent unnecessary exposure to hazards and safety risks. • It’s important to make sure that any appliances you purchase are approved by Underwriters Laboratories (UL) or another reputable consumer laboratory. • Always follow appliance instructions carefully and don’t attempt amateur repairs or upgrades. • Electricity flows easily through water. Do not operate any electrical appliance with wet hands or while standing in water. Keep hair dryers, curling irons, and such other devices away from water. • Unplug any appliance that emits sparks, or that does not work correctly. • Inspect appliances regularly for faulty or damaged plugs, switches, and cords and replace them or have them repaired immediately. • If you do throw away an appliance, make sure they can’t be used by anyone else. • Remember that a turned-off appliance is still connected to electricity until it is unplugged. • Turn off appliances such as air conditioners, heaters, and ovens if leaving your home. • There are, of course, many clear-cut tips that may seem obvious but are not always adhered to such as unplugging the toaster before prying out that stuck toast! GFCIs can save your life. Ground Fault Circuit Interrupters are found in some outlets and service panels. They help reduce the risk of electrical shock by switching off the circuit if it becomes hazardous. A licensed electrician should install GFCIs in bathrooms, garages, near kitchen sinks and outdoors. By the way, do you have an older “beer fridge” in the basement or the garage? Many an old refrigerator will have a tiny leakage current because of worn-out insulation on the internal wiring. This circumstance can be dangerous when the fridge is placed on an electrically conductive concrete floor, especially if the basement is damp with condensation. Note: If you have a swimming pool, be sure electrical equipment around the pool is adequately grounded. If you’re installing a pool, have it inspected by your town’s electrical inspector when the job is completed. • Don’t go up in smoke! Frayed power cords are no joke! Have damaged wires repaired or replaced immediately. Worn cords can cause shock, short circuit or fire. • Make peace with plugs. Cables should be firmly plugged into outlets. If the cord is too loose (or the holes are too snug), choose another outlet with a better fit. And never remove the grounding pin (third prong) so a three-prong plug will fit into a two-prong outlet. • Insert plastic safety caps into unused outlets if your family includes young children. • Do not staple or nail cords in position at any time. If the cord does not remain where desired, use tape or twist ties to secure it. • Do not place a cord under a carpet, through a doorway or anywhere that it could be stepped on. • Use only extension cords approved for the environment and loads expected. • Use only surge protected power strips. Inspect the power strips regularly for damage or signs of overloading. So, what happens if there is an electrical fire? Firefighters recommend that if you have any doubt about fighting a fire yourself, your best bet is to get out of the house as quickly as possible. Once you’re safely outside, call the fire department. If you decide you have a realistic chance to fight the fire and win, stand your ground, but never let the fire get between you and the exit. If you sense the fire’s going to overtake you and block your exit, get out. Remember, too, that water conducts electricity (that’s why you don’t go swimming during a lightning storm), so throwing water on an electrical fire could cause it to get larger. Instead, use a chemical fire extinguisher. An Amusing Fact: Benjamin Harrison, the 23rd President, was the first president to have electricity in the White House but he never touched any light switches because he was too afraid of getting electrocuted. Safety Tips Outside the House. Look Up! Look Down! Look Out! • Power lines carry high voltage electricity and can be deadly. Always assume that utility lines are “live” — or energized – and keep far away from them. Be especially attentive after wind, ice or heavy snow storms when wires may have fallen to the ground. • When carrying or using ladders (including wooden ladders) and other long tools, keep them at least 10 feet away from all overhead power lines – including any lines from the power pole to your home. Look up before raising a ladder or pole to verify that it will not be close to power lines when raised. • Never fly a kite near overhead power lines. If your kite becomes caught in the lines, let it go. Electricity travels down the strings of kites that contact power lines, and you could get a severe shock or be electrocuted. Tell children that if a kite or other toy gets into power lines, they should tell an adult and never attempt to retrieve it themselves. • Report any broken poles or trees fallen on the power line or any downed electric lines to the power company or the police immediately. • If someone is in contact with an outdoor energized power line, stay at least 20 feet away from the area and so not attempt to remove the person or power line. Immediately call 911 in an emergency. 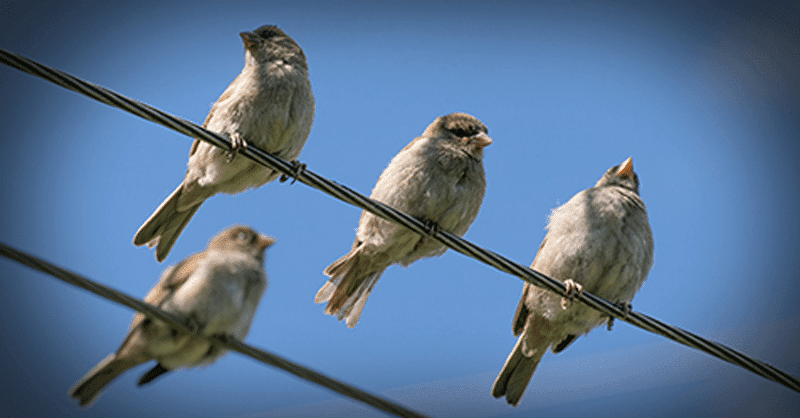 A bird-on-the-wire fact: Have you ever wondered why birds sitting on a power line don’t get electrocuted? If a bird sits on just one power line, it is safe. However, if the bird touches another line with a wing or foot, it creates a circuit, causing the electricity to flow through the bird’s body. This results in electrocution. In many neighborhoods, power lines are buried underground. Once the wires are covered with dirt and grass, you can’t tell exactly where they are. Pennsylvania law requires that all excavators or homeowners moving earth with powered equipment must contact PA One Call at least three business days prior to excavation. Please keep in mind that digging can be dangerous if you don’t check first for underground wiring, cable or other underground utilities such as natural gas lines, water or sewer lines. Most electric distribution systems include pad-mounted transformers. When left alone, these metal enclosures are safe. But kids who play on or around them may accidentally break open the locks and doors, exposing themselves and others to danger. Substations contain large, high-voltage equipment to serve many homes and businesses. To an adventurous child, a substation looks a lot like playground equipment. However, high fences are built around substations for a reason. Much of the equipment carries high voltage, and it’s impossible for someone who does not work with electric power to identify which parts are energized and which are safe. Do not allow children to play near a substation and never attempt to enter one. If a ball or toy goes into a substation, children should be taught to tell an adult to call the power company. Never try to retrieve toys yourself. If you notice a damaged fence, contact your electric power company. Substations also draw thieves who attempt to steal copper wire and other equipment for scrap. If you see anyone in a substation other than a power company employee, call the police immediately. Teach children to recognize “Danger-High Voltage” signs and stay away from power lines, substations and pad-mounted transformers. • Go indoors, preferably to a house or a vehicle. No place outside is truly safe in a thunderstorm. • Immediately vacate elevated areas such as hills or peaks. Never shelter under an isolated tree. • Stay away from objects that conduct electricity such as power lines, poles and playground equipment. • Immediately get away from ponds, lakes and other bodies of water. • Remember, if you hear thunder, lightning is close enough to strike you. • Indoors, stay off corded phones, computers and other electrical equipment that place you in direct contact with electricity. • Avoid plumbing, including sinks, baths, and faucets. 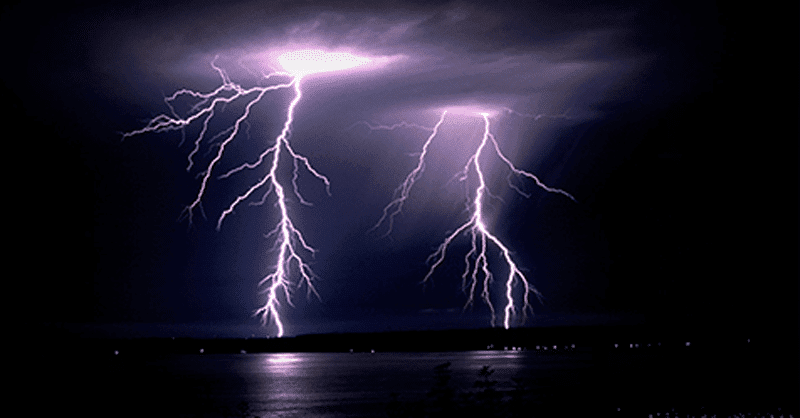 A Lightning Bolt Fact: Lightning is a discharge of electricity in the atmosphere. Lightning bolts can travel around 130,000 miles per hour and reach nearly 54,000°F in temperature. If you are ever in doubt about an electrical safety concern, simply contact the professionals at J&A South Park.